The Book Arts class will teach you several different folding and gluing techniques to make simple books and creative constructions. We will spend some time creating decorative paper - paste paper and simple repetitive stamping. The course will cover several different binding techniques, the simple codex, accordion books, Japanese binding, how to make covers and the construction of boxes. All the demonstrations explore methods which can be recreated at home without specialized equipment. "There is a deep satisfaction in making something beautiful with your own hands. When folding, gluing, binding, and building from scratch, the word "book" takes on a very different meaning and value. 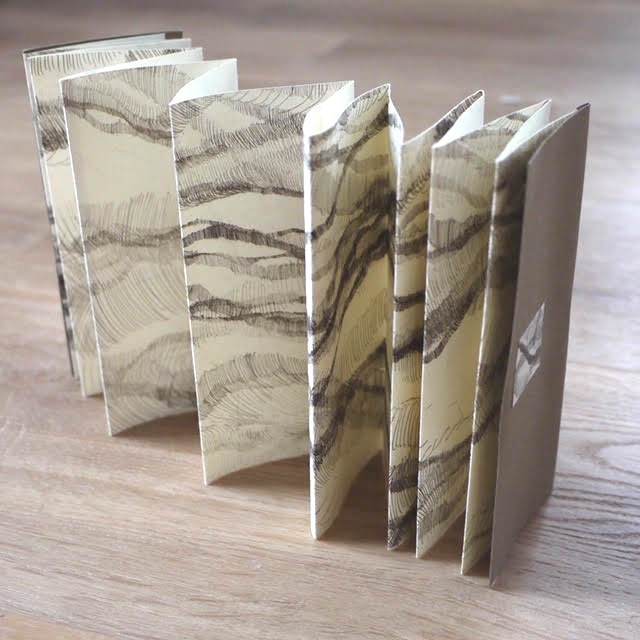 My first bookmaking class taught me relatively simple methods but added a vast new set of tools to my art-making." Caroline Adams is a graduate of RISD and taught bookmaking and printmaking from 2001-2003 at the Aegean Center. Caroline earned a BFA in printmaking and is now a working artist focusing mainly on oil and egg tempera painting. Caroline has studied bookmaking, paper making, and printmaking at Pyramid Atlantic in Washington, DC.